On AcaciaTV you choose any workout you want, click play and start moving. It’s that simple. And it works anytime, anywhere from any device. One the beauties of this system is that you can build the perfect routine by mixing and matching components from any workout on the site. So, if your workout doesn’t have a built-in warm up and cool down, they’re a snap to add. Here’s how to do it, in three easy steps. 1: Choose a warm up. Go to workouts. 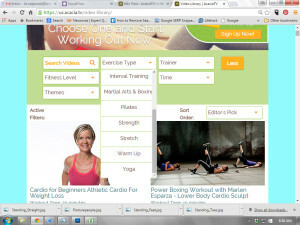 Choose your level from the “Fitness Level” from the drop down menu, then choose warm up from the “Workout Type” menu. 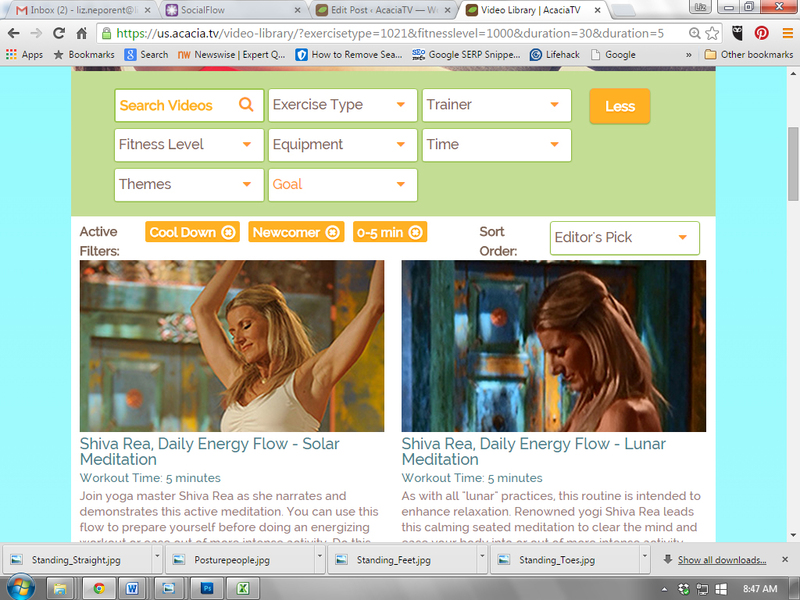 (You can also further refine your choice by adding length of warm up, theme, instructor, etc.) Add the routine that best fits your preferences either to your Calendar or Favorites. 2: Now follow the same process for your main workout. You can further refine your selection by choosing a filter from the other drop down menus. 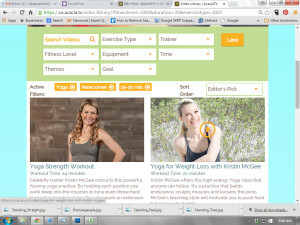 For example, find a 20-minute Novice Yoga workout in three quick clicks. 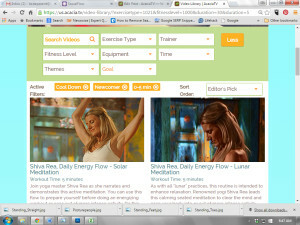 Simply choose your level from the “Fitness Level” drop down, your time frame from the “Time” drop down and “Yoga” from the “Exercise Type” drop down. Viola! When your choices pop up, add the ones you want to your Calendar or your Favorites. 3: Repeat the same process for your cool down. Once you have made your selections, simply go to your calendar or favorites, click on the first routine and get moving. There you have it. See how easy that was? Check back on the blogs frequently for more workout suggestions. 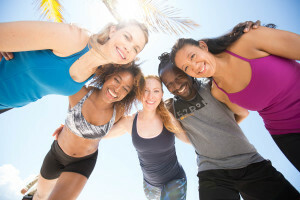 And be sure to join our AcaciaTV member group on Facebook to find out how other AcaciaTV users are getting their their sweat on. You can also follow us on Twitter, Instagram and Pinterest for lots more inspiration and shape up advice.